Our friends Anna and Andy own ‘Stark House’ a gorgeous Bed and Breakfast at Kalbar, about an hours drive west of Brisbane. I finally got the shot I’ve been trying to capture during other visits. 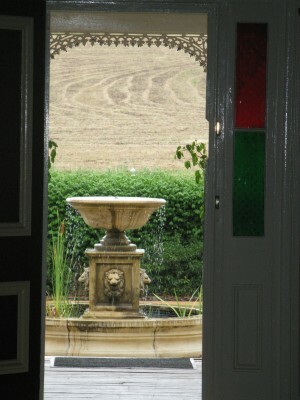 This is looking down the very long hall way, through the front doors to the front yard and beyond.